It’s not too late to become a citizen scientist in 2017! We still have a couple spaces remaining on our British Virgin Islands Field Survey this winter, December 3rd – 9th, and REEF surveyors of all levels are invited to participate. 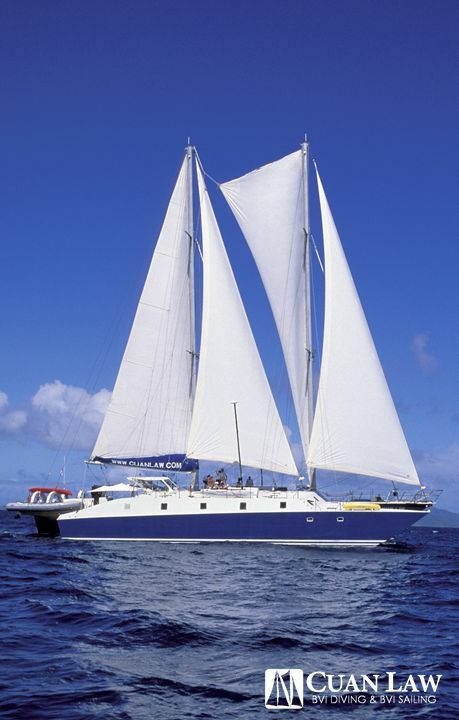 The British Virgin Islands (BVI) offer world-class diving and our REEF trip promises to be great. We have arranged a special itinerary with the Cuan Law liveaboard and the boat will explore some of the lesser-dived areas on the north side of the islands. Ellie Splain, REEF’s Education Program Manager, is leading the trip and will teach daily fish identification classes for participants to expand their knowledge of fish in the area while contributing to REEF’s marine sightings database.